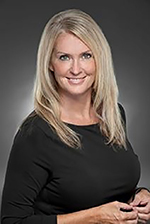 Cathy Briede is a newly licensed realtor. She has years of proven successful leadership in sales and management. She is a creative problem solver, project manager and leader of people and teams. Prior to Real Estate, she worked as a Director in the pre-school ministry for North Point Community Church in Alpharetta, GA. She was responsible for managing and motivating a team of over 160 volunteers. She helped create new strategies and cast vision for church leaders. Cathy holds a bachelors degree from Indiana University. She lives in Alpharetta, GA with her husband and their 4 children and 2 dogs. In her free time, Cathy likes to watch her 4 girls play soccer, participate in mission trips, play softball and exercise.